High Street in 1839 - the earliest image? How old is that building? 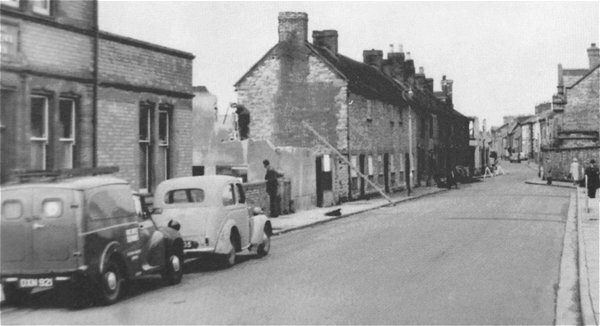 Huish, looking west, showing Crown Buildings being demolished. Photographed in 1955.